In 1987, the United Nations World Commission on Environment and Development (the Brundtland Commission in deference to its chair, Dr. Gro Harlem Brundtland) released its report “Our Common Future” in which it expressed the need for countries to adopt an approach to human interactions with the environment that was referred to as “sustainable development”, ”… development that meets the needs of the present without compromising the ability of future generations to meet their own needs”. The Brundtland Report, and this book, make it clear that while sustainable development is enabled by technological advances and economic viability, it is first and foremost a social construct that seeks to improve the quality of life for the world’s peoples--physically through the equitable supply of human and ecological goods and services, aspirationally through making available the widespread means for advancement through access to education, systems of justice, and healthcare, and strategically through safeguarding the interests of generations to come. In this sense sustainability sits among a series of human social movements that have occurred throughout history: human rights, racial equality, gender equity, labor relations, and environmental conservation, to name a few. Although the Brundtland Report did not, technically, invent the term “sustainability”, it was the first credible and widely disseminated study that probed its meaning in the context of the global impacts of humans on the environment, emphasizing the connections among social equity, economic productivity, and environmental quality. In the intervening period of time this rather idealistic and broadly defined concept has become the driving force for a new meta-discipline, one that has had to establish its own conceptual theories, develop characteristic investigative metrics and methodologies, collect appropriately defined data, forge new methods of data interpretation and analysis, and generate a body of knowledge that is the foundation for continued advances—in short a new “science of sustainability”. And as with any knowledge-based enterprise, a number of text books, reference sources, and treatises on the topic have been and will continue to be released. This is a book about sustainability. It is written from a distinctly multidisciplinary perspective, as any serious book on the topic must. But it is worth reflecting just what, in this case, that means. Merging existing disciplines to create first a metadiscipline and eventually a distinctly new discipline is not new. For example public health emerged from a combination of microbiology, epidemiology, and medicine in the 1890s, biochemistry from concepts of cell biology and chemistry in the 1940s and 50s, and environmental engineering science from microbiology, chemistry, and sanitary science in the 1960s. Butwhat is extraordinary about the meta-discipline surrounding sustainability is both the sheer number and breadth of disciplines that are called upon to contribute to sustainability science. It is not easy to put together a book on sustainability. 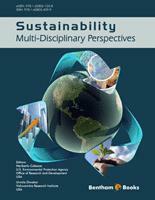 “Sustainability: Multidisciplinary Perspectives” is a collection of fourteen papers, written by 23 authors drawn from fifteen distinct disciplinary backgrounds ranging from engineering to public policy, from ecology to thermodynamics, from organizational behavior to social psychology, and from industrial ecology to economics. It has something to offer for everyone interested in sustainability, and a great deal to offer for a smaller number who are in serious pursuit of understanding the nature of research and pedagogy in support of sustainability science. The editors, Heriberto Cabezas and Urmila Diwekar (whom I have known and with whom I have interacted for several years), intend this book to be a reference for those interested in sustainability, but it provides much more: a useful introduction to the topic, a thorough summary of the current state of knowledge, an intricate examination of its foundational principles, a thoughtful exposition of the implications of sustainability for society, a practical basis for framing problems that the sustainability paradigm seeks to solve, and ways to measure the outcomes of our solutions and policies. The information contained in this book is timely and important, but just as important is the bold manner in which it presents views on sustainability through so many disciplinary lenses. This may be its ultimate contribution—to stimulate others, perhaps in yet additional domains, to undertake the task of incorporating sustainability thinking into their own disciplines, thereby extending and deepening the sustainability knowledge base. The concept of sustainability is inherently multi-disciplinary because it concerns the management of a complex system having economic, technological, ecological, political, and other perspectives. Consequently, any effort in the area of sustainability involves concepts, principles, and methods from engineering, the social sciences including economics and social psychology, the biological sciences including ecology, and the physical sciences. The purpose of this book is, therefore, to discuss in a coherent and comprehensive manner the salient concepts, principles, and methods relevant to sustainability from the perspective of different disciplines. Although there are number of books that have been recently published on the topic of sustainability, most of them do not cross the disciplinary boundaries, or at least address them as thoroughly as necessary. This book is different in that respect. It provides perspectives from ecology, environment, economics, social-sciences, policy, infrastructure, industrial ecology, engineering, and business written by experts trained and experienced in the respective disciplines. The book is intended for a diverse audience ranging from undergraduate and graduate students from various disciplines, to researchers, academics, policy makers and practitioners. It is the objective of the current endeavor to provide to provide a timely source and reference material on sustainability. This book is primarily designed to serve as a reference book. However, it has also been used in a multidisciplinary undergraduate course on sustainability in Michigan Technological University with excellent feedback from the students, it may properly in any such course of instruction. To readers in academia, the industries, and government organization alike, we hope that the ideas and pages that follow will give as much enjoyment and stimulation of creative interest as they have for us, the writers and editors, right from the day when we started working in this area.